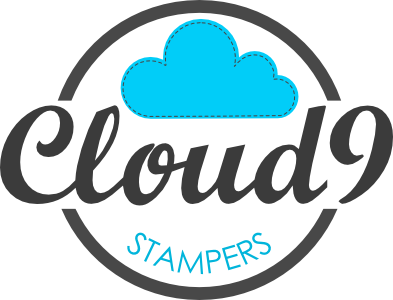 Welcome to the Stamping Sunday blog hop! You have arrived in Edmonton, AB, Canada and I’m Lynsay Mahon! Thanks for joining us! This suite is an early release for you to purchase! The annual catalogue is released on June 1, but this specific suite is available to purchase May 2-31 sold in bundles with free gifts included! The blue is what is cut out with the framelits. You can see the framelits on the left are negative images and partial die-cuts. The possibilities with these are going to be so fun! Use adhesive to stick strips of the designer series paper onto printer paper (this helps keep the layers thin to cut with your framelit. Use the same framelit to cut out 12 more of the flowers using Very Vanilla paper. Adhere all of these layers together. Peel and stick the gold circle sticker onto the front of the card. Layer the very vanilla pieces and finish with the designer series paper (DSP) image you originally cut out of the card base. Peel and stick the coordinating 6 point gold sticker over top of the DSP layer (it coordinates perfectly). Finish with the hello greeting on very vanilla, flagged at the end. To embellish, wrap linen thread twice around the card, and tie a gold tassel into the knot before tying in a bow. Visit my store to order. Love the framelits!! And so fun to click through the blog hop and see all the different uses of the same products 🙂 Definitely a hit!! Thanks Rene! We will play with them at club this month – they are incredible! Thanks so much Kelly! Isn’t that cool? I feel like we haven’t even scratched the surface yet with what’s possible with these framelits! Thank-you Danielle! It’s wonderful to “meet” you!